Hi! Welcome to my Guild Revamp suggestion post. I know this post is VERY long, so please bare with me xD. I've got some pretty good ideas, and I'd like to see what everybody else would think of them, and if it would be possible to have these implemented. Let me know what you guys think! I'm not afraid to hear criticism, as long as its constructive and not attacking. If you've got some other ideas, I'd love to hear them. After being an Officer in many different guilds, and experiencing the semi-new "guild request" system used by players to join guilds, I've noticed some problems, or possible additions. First of all, sometimes its difficult to tell who is trying to join your guild. If a player's name is too long/large, you cannot see their full In Game Name. This could be fixed by either enlargening the box, or allowing players to hover over the player's name who sent the request, in order to see the full name. Second, its diffult to allow a player to join a guild solely off of their Name, Level, and Job. A questionnaire could be the solution to this problem. Allow the Guild Master and Officers to create questions that applying players must fill out(Or check off for yes/no questions). This could allow the Guild Master and Officers to know a little bit more about the players through question to join before admitting them to the guild. While the Guild Request system is great, its difficult to recruit new players to guilds using it. 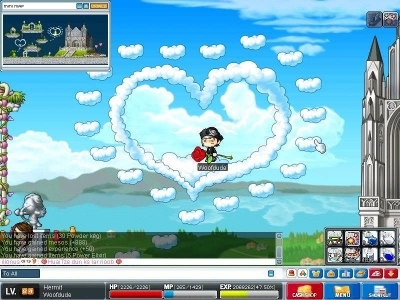 The players must request to join the guild, which players are much less likely to do than join a guild if you invite them. Also, a lot of new/returning players don't know about the Guild Request system, so bringing back the invite system would be useful. TLDR: Add back Guild inviting along side guild requesting. Guild Master -- I believe that the Guild Master position is currently as well done as it needs to be. I see little to no flaws in the Guild Master position. 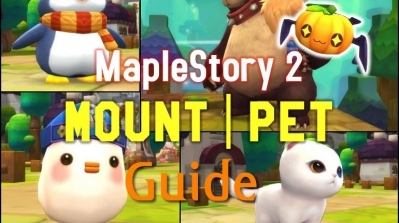 The only thing that I might suggest, is to automatically have the Guild master's name be at the top of the guild list, no matter how one sorts his/her guild player list. This way, its easy to tell when your guild leader is on, without having to sort by ranking. 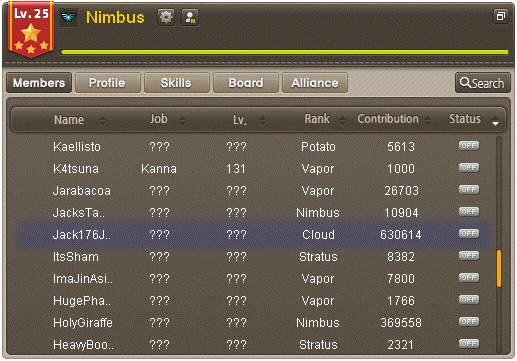 Another change that could help this, is to highlight the Guild Master's Name, level, job, ranking, etc, in a color that would stand out, such as blue. Maybe something like this could help the guild leader stand out. Either that, or put a small crown symbol to the left of his/her Name. Also, I think the leader should allow players to gain rankings more easily, if they feel the need to. Possibly allow guild leaders to set an amount of contribution that players must reach before they rank up to the next ranking. This could allow players to rank up by playing and supporting the guild a lot. This option could be toggleable, incase the leader doesn't want this. Also, it could be set for only certain rankings, making it impossible for players to become Officers just by playing a lot. This feature would allow players to feel like they're being rewarded for their contribution to the guild, without feeling like they have to beg the Guild Master for a rank up. Guild Officers(juniors) -- In my eyes, Officers don't hold enough power. They're supposed to be the Master's right hand people, managing the guild when he/she is unable to. However, their powers are very limited. Their powers include Adding new players to the guild, Kicking/Demoting other players, and Editing/Deleting posts in the Guild Board(aka the BBS). Theres not much more than Guild Officers could gain without the guild leader becoming meaningless. However, this still is room for improvement. For example, allow Officers to upgrade Noblesse Skills. I'll talk about this more later in the "Noblesse Skills" section. While Guild Officers hold a lot of power, the position could be abused if put in the wrong hands. My idea to fix this is the addition of "Vote Demotion." This option could allow players to vote to demote a online Guild Officer. The player who starts the demotion could include their reasoning in a message required to be filled out before starting it. Once started, a box could be designated for the person being voted to be demoted to defend themselves. After a vote demote has been started(Possibly limited to being started by a Guild Officer), messages will appear in chat every hour reminding players that the Demotion Voting is currently taking place. After maybe 2 days, the votes will be tallied and the decision will be made. In this vote demote, the guild leaders decision would override the demotion or non-demotion(based on the outcome of the voting). Seniors, Members, and Initiates -- While they are only members, it feels like there should be more power for them. This is why I have suggested the Vote Demotion idea. Read more about it in the "Guild Officers" Section. I've also suggested the idea for easier guild rankups, which can be seen in the section about the "Guild Master." Also, Seeing as there is no difference between these three rankings besides each being closer to the Officer position than the next, maybe some value should be given to reaching each ranking. I'm not sure what could be given, but maybe somebody can give a suggestion about this. I've considered extra exp and such, but then people would just instantly rank up their guild members to the Senior ranking for more exp. Maybe give the higher rankings more permissions than Initiates? After going through the guild skills, I've noticed some problems with them, and have come up with some ideas. The first thing I noticed was the extra guild SP. Once you reach level 25, you have 50 SP total. However, there are only 46 skill points worth of skills. While thinking on this topic, I came up with another idea. 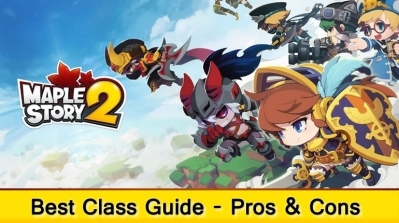 I thought that guilds could have more skills than SP. This would require guilds to weigh their options, and pick the skills that they think are the best. It would also bring more diversity between guilds in which skills they pick.Also, while conversing with another player on this thread, we discussed guild skills that need some revamp. Spotting Small Change -- This guild skill seems pretty useless to me. Only +8 mesos per monster. 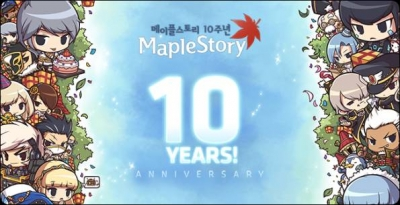 This seems useless due to the small amount of mesos given. Even if you're a decent training class manage to kill 200mobs a minute (or 3 per second), thats only 1.6k per minute, or 96k an hour. If you train the entire day midnight to midnight, thats only 2.3m. 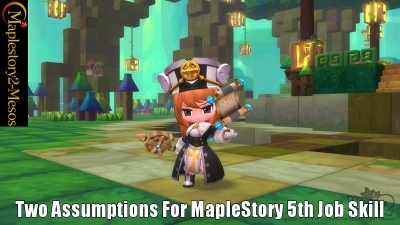 I suggest either remove this skill, or make it %mesos, maybe 1-2% extra mesos per mob. Item Salvation -- This guild skill seems useless due to its low %activation rate. Hardly anybody risks scrolls that boom without protection scrolls. In the rare chance that a player does scroll without a protection scroll, the likelyhood of the scroll failing, then passing the %chance to boom, and then passing 4% chance to not boom, is very low. More Party Play -- The reduction in price inthe party quest shop seems pointless. 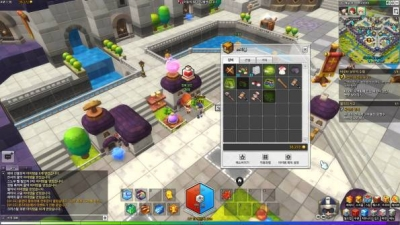 Hardly anybody uses this shop due to its less than incredible maplestory 2 items. I've never seen a guild that has been in a rush to upgrade this skill. Party Quest Mania -- I contemplated about how useful this is, and while it doesn't seem too useful to me, many people still do Cross World PQ, and this skill could always be left out by guilds that dont do CWPQ. Aside from skills that should receive a revamp, I've come up with some other possible guild skills that would motivate players to level their guilds faster. 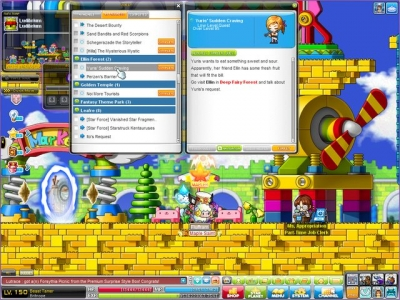 Guild Party EXP -- This skill could grant extra exp to guild members who party together. This would motivate players from guilds to work together as a guild. Guild Party Drop Rate -- This skill grants extra drop rate to guild members who party together. As many of us have seen, players have been working less and less together to kill bosses as time has gone by and the game has progressed. This skill could influence players to work together for bosses more, and to bring their guildmates on boss runs. Guild Party Buffing -- Maybe grant players some weapon and magic attack for partying with guild members. Once again, this would motivate players to party together more. Extra Party Quest Entry -- As many people know, the party quest entry limits place a burden on people trying to train their characters. Especially with the recent changes to limit dimensional invasion to 5 runs per day, people have been outraged by the limits. This guild skill could allow players to enter any PQ 1-2 extra times a day. After brainstorming over Noblesse Skills, I've come up with a few possible changes to them. First of all, allow Officers to level them up. In a leader's absence, even if just for a day, the entire guild is stuck without Noblesse Skills. This places a burden on anybody that needs them for bosses and/or Dojo. If this seems like a problem, a reset button could be added for the leader. Gaining Noblesse SP from Guild Bossing -- Maybe guild bossing could grant points, which when enough are collected, grant one Noblesse SP. This would encourage players to boss together. 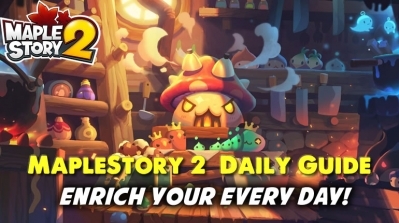 Daily Guild Quests -- Maybe create quests for players in the guild to complete together which grant Noblesse SP? Require 3+ Players from the same guild in the party, and have them do quests such as: Killing an eboss, 999 kills, complete Root Abyss, etc. Guild PQ -- Maybe make Guild PQ grant Noblesse Skill SP. Currently, theres no incentive to do the Guild Party Quest besides some fun. I'll talk more about a revamp later on, but I wanted to include it here since this was one of my ideas with it. First of all, the Guild Board, or BBS, is currently broken. If you reach a certain length in your BBS post, and a day or two has passed, all of the text after a certain point will be deleted. This is frustrating because theres no way for players to tell when they need to stop typing. Also, it makes players make multiple posts for the same thing. As for changes, I think added some BB Code to the Board would be really cool. Add some bolding, italics, strikeouts, maybe different sizes and colors, maybe animations that you could add to your words like making them wave and flash colors and stuff. Idk, its not necessary but it would be cool. Remember pre-guild revamp there was that message on the top of guilds? The Guild Notices that Officers and Masters could change? Many people and I think that these should be brought back. They help the Officers and Masters sent messages to all the players in the guild without logging on all the time to tell them individually. It can also spread messages to check the Guild Board, since in my past experiences, its hardly been checked. First, allow players to kick players from the guild that are on their own account. This way, when a player switches over to a new main, they can kick their old main that was in the guild, without having to make an Officer look for that character. Second, Create a way for Guild Masters and Officers to kick characters faster. For example, create check boxes next to each player that allows Masters and Officers to check off multiple characters and rankup/kick them from the guild all at once. Well, we got it for our buddy list, lets get it for our guild and alliance! 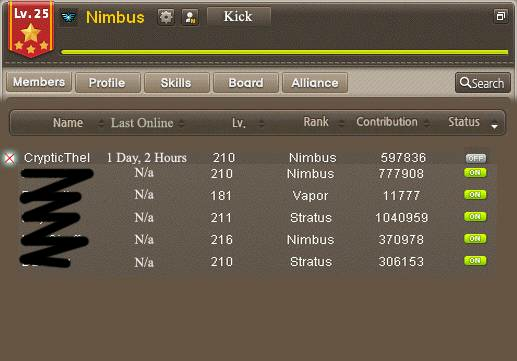 It would be really cool if we could set account bound, or even just character bound, nicknames for players in our guilds and alliances so that we never forgot names. HP -- Obviously, guild PQ is very easy for most players now. I think that the HP of all the enemies should be boosted up, with the final boss having a not-so-easy amount of HP. Maybe he could have the HP of either Normal, Hard Gollux, Normal Magnus, Madman Ranmaru, Empress, or Chaos Queen depending on the guild level. This way, the higher level a guild is, the more they'll have to work as a team(except with funded people lol). Even with funded people, it still holds a little challenge for an hp amount like Chaos Queen. Rewards -- Obviously, the rewards need to be updated. Maybe contribution pouches, Elite Boss drops, and some more could be added. Noblesse Skill SP -- Earlier in my suggestion post I mentioned adding guild pq as a way to get Noblesse SP. Check out the section on "Noblesse SP" to read more. This is pretty simple. I'm still a bit iffy on this idea, as it might be abusable, but I'll put it out there anyways. I was thinking of an ability of a Guild Master to mute a player from talking in his guild chat and alliance chat for a maximum of 30 minutes, with a certain cooldown, incase that player is spamming/being disrespectful. Like I said, it could be abusable, so I'll leave this up to the decision of everybody else. If you made it this far, thanks for reading! Make sure to give me any suggestions/changes that you see here, and hopefully we can get these ideas approved and into the game!